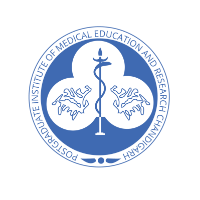 PGIMER Recruitment 2019 – PostGraduate Institute of Medical Education & Research (PGIMER), Chandigarh Jobs for Data Entry Operator Grade-B posts & Data Entry Operator/ Multitasking Worker. The detailed eligibility and application process are given below. Educational Qualification: INTERMEDIATE or 12th PASS IN SCIENCE STREAM from a recognized board with DOEACC “A Level from a recognized Institute AND/OR 2 years’ experience in EDP work in Government, Autonomous, PSU or any other recognized organization. Note: The applicants should have a certificate from the recognized institute that the candidate has the speed of not less than 15,000 key depressions per hour through speed test on computer. The selection process will be based on the Written Screening test & Interview. The Screening test will include General Knowledge, English Language and computer software/hardware related questions. List of candidates who clear the written screening test and will be eligible for interview. Screening Test – Lecture Theater, Level 4A, Department of Pharmacology, Research Block B, PGIMER, Chandigarh. Interview – Seminar room Level II A, Advanced Pediatrics Centre at 2.30 PM. All interested and eligible candidates may submit their hard copy of 2-page biodata along with self-attested copies of all certificates to the following postal address on or before 25 April 2019. Joining date for selected candidates: 15th May 2019. Educational Qualification: Graduation in BA / B.Com / B.Tech IT/Computer Science from a recognised University. The Data Entry Operator/Multitasking Worker Post is purely on contract basis up to 31/7/2019 and likely to be extendable for 1 year. The selection process will be based on the performance of Interview. Depending on the number of candidates, screening or written test may be introduced. Place of Interview: School of Public Health, PGIMER, Chandigarh. All interested and eligible candidates can send application form along with self-attested copies of all certificates to the following postal address on or before 20 April 2019.